Royalty free modern music tracks for your tech business videos. Classic corporate music track with a strong motivational feeling. Light and commercial background Lounge music with a bright funky mood. Exciting and trendy electronic music with a stylish and updated tone. Energetic and aggressive Electro dubstep track with an exciting and punchy feel. A fresh, stylish uplifting track in modern pop dance genre. Clean & positive background music with motivational corporate mood. A trendy instrumental electro pop tune with a fresh and hip vibe. Upbeat & trendy electro track with bright & infectious dance pop feel. Inspiring & positive electronic track with a warm motivating feeling. Positive & bright instrumental track with a strong motivational flow. Upbeat & trendy electronic music with a modern technologic feel. Nowadays, it seems like technology got to do with every aspect of our lives. Therefore, It's only natural that a technologic music will be the perfect choice to boost promotional and commercial videos. Tech is the perfect category for you in case you’re promoting an innovative, cutting edge product. This music holds a message of progress, freshness and innovation. 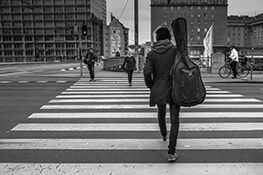 It's a mixture of various music styles like pop, electronic and classic and creates a uniquely inspiring and motivating feeling. This music is best for your video if it contains a fresh, modern and positive message in it. The digital tone that it holds will create a deep impact on your audience. You can find great technological music here, for your videos. Choose the music that you think matches the message of your video.